It is with great pleasure that Knapp Hicks can announce our support in 2015 for a very special charity ‘Martha trust’. Martha Trust provide residential respite care and day care for people with profound physical and multiple learning disabilities, ensuring that the profoundly disabled people they care for, enjoy as full and active a life as possible; helping them achieve their potential, and where possible, their independence. Please visit www.marthatrust.org.uk for more information on this amazing charity. 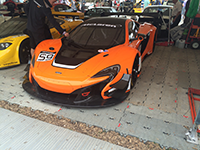 As Knapp Hicks prepares to celebrate our 50th anniversary in 2016, to acknowledge that our continued success would not be possible without the support of our loyal customers, a number of our clients were able to join us at the prestigious ‘Goodwood Festival of Speed 2015’. On a sweltering hot day, a good time was had by all and we would like to thank all those who attended. 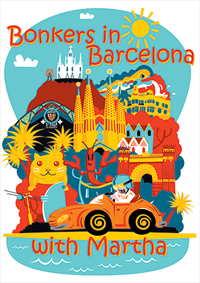 In keeping with our continued support for our chosen charity ‘Martha Trust’, we have entered into this years ‘Bonkers in Barcelona’, an insane rally from Dover to Barcelona in less than 48 hours, in a vehicle that costs no more than £200!!!! 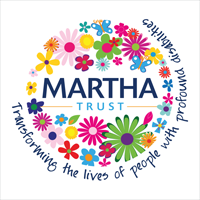 As with all charities, Martha Trust rely heavily on kind donations to survive, and to this end we would most appreciate sponsorship from our fantastic customers. Please visit www.virginmoneygiving.com/knapphicks where all donations will be gratefully received, and help us support this amazing charity.